This was the storyline: In the year 1997, Earth is suffering from overpopulation. Professor John Robinson and his family are selected to establish a colony on another planet. However, Doctor Zachary Smith, an agent for the enemy government, is sent to sabotage the mission. He is successful in reprogramming the ship’s robot while the crew tries to find their way back home. The ship’s robot was in part the security guard and the companion for the 9-year-old son of Professor John Robinson. 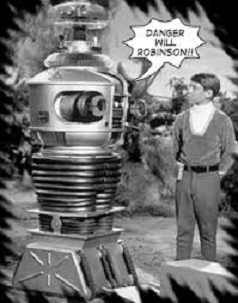 The robot would use the catchphrase, “Danger, Will Robinson!” to warn young Will Robinson about any impending threats. What does a television show in the late sixties with a robot and a young boy have to do with massage therapy (MT) and cancer? Therefore, it is our ethical and moral obligation as educators and physicians (or as the robot in Lost in Space), to clarify with current clinical data, errors and potentially dangerous data being taught in massage schools and continuing education seminars regarding massage therapy (MT) and cancer. It is important that the reader understand that our primary objective is to be facilitators of accurate research, scientific and evidence based information. Hematogenous spread or spread through blood circulation – the original tumor invades and destroys the walls of blood vessels and it uses blood circulatory pathways to spread and metastasize (i.e., tumor cells) to the distant parts of the body (see Fig. 1). For example, kidney cancer spreads to the patient’s brain. Lymphatic spread – the original tumor shades the cancer cell which start to migrate along lymphatic vessels until they land in the first pack of upper lymph nodes. 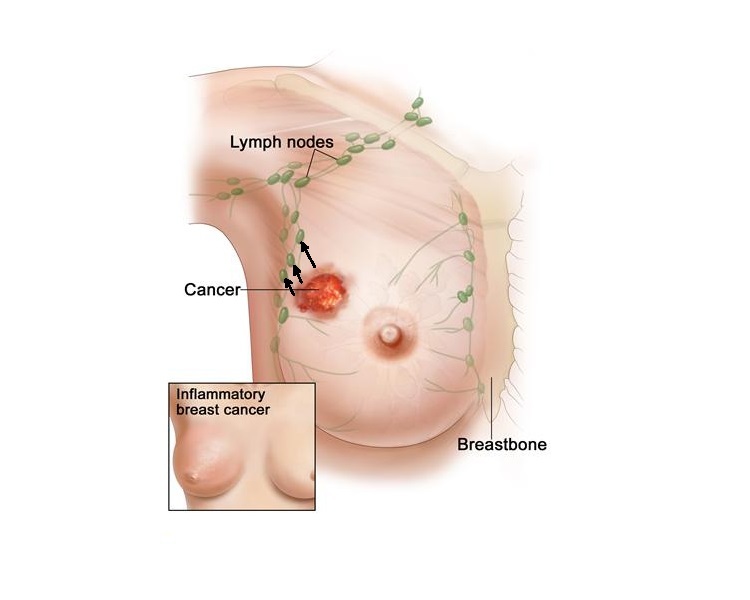 For example, breast cancer spreads to the axillary lymph nodes (see Fig 2). The longer the cancer exists within the lymphatic system, the greater the chance that it will metastasize and will eventually get into the blood stream adding to the hematogenous pathway of the spread of the cancer cells. Spread along cavity – the cancer cells grow along the cavity surface. 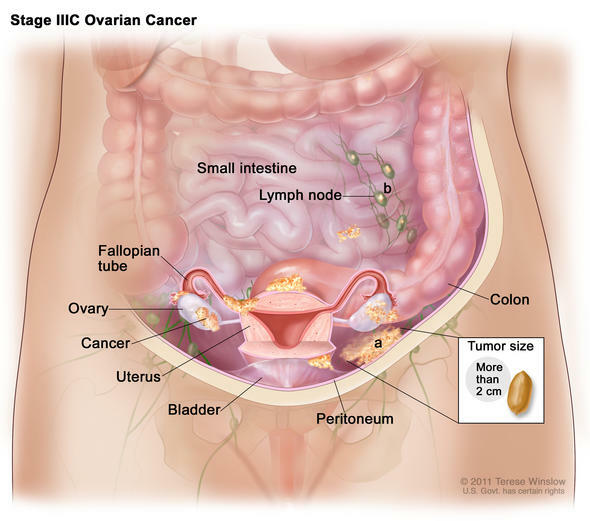 For example, ovarian cancer invades and spreads along the peritoneum of abdomen (see Fig. 3). 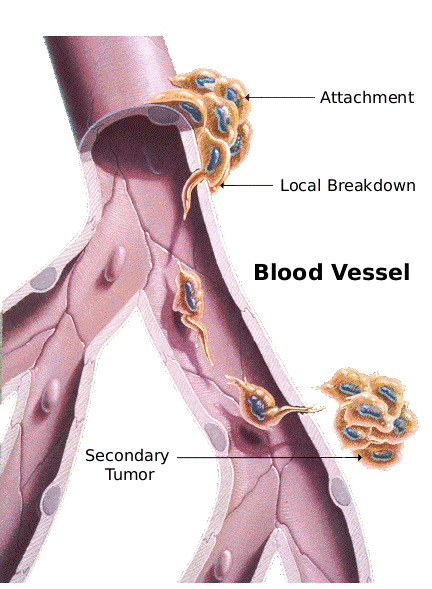 Invasion to the neighboring tissues and organs – the cancer tumor grows into neighboring tissues or organs. 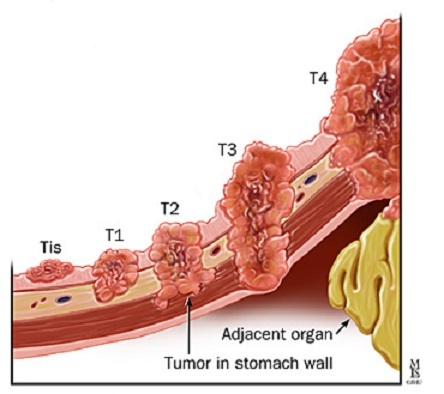 For example, stomach cancer invades the pancreas (see Fig. 4). For our discussion, the first two pathways of cancer spread are the most important. We will come back to this important issue below. MT when provided correctly, can be an important part of a cancer patient’s overall healthcare. It assists the patient psychologically and physically while helping to reduce the symptoms related to cancer therapy. Help to stimulate and enhance the functions of the immune system (Hernandez-Reif et al., 2005; Shor-Posner, et al., 2006) which is a critical component of cancer therapy. When a patient is first diagnosed with cancer, there is a great amount of anxiety, stress and depression. As a result, stress hormones epinephrine, norepinephrine and cortisol dramatically increase leading to an increase of sympathetic predominance. Chronic over-activity of the sympathetic nervous system quickly exhausts the central nervous system which also places a burden on the function of other organs and systems thereby depressing their functions as well. This chronic over-activity can have grave consequences since it inhibits the activity of the immune system which is the body’s major self-defense system. Therefore, stress and anxiety must be controlled as soon as possible. MT can be and is a very important tool to do that, but it must be done correctly. The first critical period in the cancer treatment is the time between the initial cancer diagnosis being established and the beginning of the oncology treatment (surgery, chemotherapy, radiation etc.). The difference between this and any other stages of cancer therapy is the fact that there are no medical procedures used yet to prevent potential metastasizing. So, what types of MT can a massage therapist safely use during this initial stage to suppress sympathetic predominance? If cancer is located in any part of the body below the level of the clavicles, the therapist can only massage the scalp, face and posterior and anterior neck. These parts of the body drain into the supraclavicular portals and they do not directly increase pressure within the lymphatic system. At the same time, most of the tension we carry is in our neck and head due to stress. To assist in decreasing this tension, the massage therapist should perform scalpotherapy, work on the facial areas and on the masticatory muscles, as well as the muscles of the anterior and posterior neck. MT on these areas is a powerful tool to aid in inhibition of the sympathetic nervous system. If the cancer is in the brain or the head, the massage therapist may work on the upper and lower extremities with a gentle and slow pace without engaging the soft tissues on the anterior and posterior trunk. This will prevent any significant pressure increase within the lymphatic and circulatory systems. For patients in both groups we discussed above, the massage therapist should work on the patient’s feet and hands, especially on the toes and fingers. Performing MT on those areas does not increase pressure within the lymphatic and circulatory systems as these areas are known reflex zones for the entire cardiovascular system (Chemigovsky, 1980). A very simple example of this physiological correlation is the fact that some people have hands and feet that are cold and sweaty when they are scared or worried. The therapists can use the reverse effects of this phenomenon. Using intense friction on the hands and feet triggers local vasodilation and normalizes cardio-vascular activity which in turn balances the activity of the autonomic nervous system by depressing sympathetic predominance. Thus, by working on the fingers and toes the therapist can control the level of stress by decreasing sympathetic activity via adjustment of cardiovascular work. Reflexology can be another helpful treatment option. We think it would be helpful to share a story of one of Dr. Jeff Cullers’ patients from his clinic in Daytona Beach, Florida. I first met Keith in September 2012. He was referred to my office by his family Physician, for chiropractic care and medical massage. As a young man and until he retired, Keith worked as an ironworker in the Midwest. Unfortunately, working in that profession, Keith contracted COPD. During the time of his chiropractic and medical massage treatments in my office, he would have periodic visits with his Pulmonologist to monitor his COPD. Keith completed and was released from care at my office. In September of 2015, Keith called me and said he thought he needed some Medical Massage treatments. I instructed him that since he had not been treated in my office for a while, we should do a Re-Exam and discuss a new care plan. When Keith showed up at my office, he was now wheeling an oxygen tank and was wearing a nose cannula. It was then that Keith told me he had just recently been diagnosed with lung cancer. I asked him, “have you started any type of cancer treatment?” He said ‘no” and that he would be meeting with his Oncologist to discuss what type of treatment he would be getting the following week. Although I wanted to help him as much as I could, I told Keith that I could not treat him until he began chemotherapy, radiation treatment or both. I did not get a chance to treat him and was notified by his wife that on February 24, 2016, Keith passed away. The question the reader may be asking is what harm could have been caused if I were to have provided MT for Keith before he received chemotherapy or radiation treatments? Always remember the rule – “Do No Harm!” If there is a 1% chance that cancer cells will spread (metastasize) after MT while the patient is not undergoing oncology treatment yet, such therapy must stop. That is why I was not willing to take that chance. So, why are there no other MT treatment options during the initial period of cancer treatment? As we stated previously, the first negative impact of a new diagnoses of cancer is an increase in the sympathetic predominance, generalized vasoconstriction (including brain perfusion). As a result, there is generalized increase in muscular tension with a concurrent rise in the peripheral vascular resistance of the soft tissues due to the increase in cardiovascular activity. This outcome explains why many patients with cancer exhibit an increase in blood pressure and heart rate that they didn’t have before being diagnosed with cancer (Cora et al., 2012, Pinar and Afsar, 2015). So, why should massage therapists avoid full body massage therapy sessions (Swedish massage, deep tissue massage, myofascial release, neuromuscular therapy, etc.) in the window of time between the new diagnosis of cancer and the beginning of oncology treatment (surgery, chemotherapy, radiation, etc.)? Any increase in the pressure within the lymphatic system with following fluctuation of pressure within the circulatory system (as a result of full body massage therapy sessions) may increase the risk of metastasis spread. As soon as oncology treatment starts and there is no risk of the cancer cells disseminating through the body, full body massage therapy sessions, as well as other MT modalities are welcomed tools which have great clinical benefits for cancer patients. We are perfectly aware of the fact that this statement may be contrary to the established views on oncology massage. However, we would like to assure the readers that suggestions of full body massage therapy during the initial period of cancer therapy are personal opinions which are not supported by scientific data. To illustrate our point of view we would like to use the results of several studies on this matter. In 2014, a group of Chinese scientists (Wang, et al., 2014) conducted a very interesting and fundamental study. The authors analyzed 200 patients with osteosarcoma. 104 patients received MT sessions before they knew about a cancer diagnosis and 96 patients didn’t receive MT. The authors detected that “…the metastasis rate was higher and the survival rate was lower in patients who had osteosarcoma and who received MT treatment before being given a diagnosis compared with patients who didn’t receive MT (i.e., during the same period by Cullers and Turchaninov)”. Similar data was obtained earlier by Diaz et.al., (2004) regarding the spread of breast cancer. However, Dr. Wang and colleagues didn’t stop there. They actually simulated in animal model the impact of MT (when it is not done correctly and on time) on cancer spread. The authors injected tumor cells into the tibia of animals and triggered the cancer growth. After a tumor developed MT was applied twice a week for 7 or 15 weeks. After sacrificing the animals, the authors detected the presence of the same cancer cells (i.e., metastases) in the animals’ lungs. Dr. Wang and his colleagues knew that MT should not have been performed in the area of the cancer but it was not the initial intention for the second part of this study. According to the authors, the focal point was the fact that the massage therapists were working on patients who were not diagnosed with cancer, yet although the cancer was present, the MT may have triggered tumor dissemination via the lymphatic or/and circulatory systems. While we have shared this important data concerning the health of cancer patients with massage therapists who practice oncology massage, we have frequently encountered resistance. The most common argument was the notion that oncologists suggest exercise as a part of a cancer patient’s rehabilitation and that since exercise is known to stimulate lymph flow and blood circulation, the methodology we suggest and believe is biased. This is an important argument which we would like to specially address. First of all, we have never met a responsible oncologist who will recommend exercise before cancer treatment starts. However, as soon as a cancer treatment routine had been established, exercise became an exceptionally important tool to aid in stimulating the immune system, as well as, reducing the patients stress and anxiety. Barr, J.S., Taslitz, N.: The Inﬂuence of Back Massage on Autonomic Functions. Phys. Ther., 50(12):1679-1691, 1970. Chemigovsky, V.N. : Interoreceptors. “Medicine”, Moscow, 1980. Cohen, L.A., Boylan, E., Epstein M., Zang, E. Voluntary exercise and experimental mammary cancer. Adv Exp Med Biol. 1992; 322:41-59. Cora A, Partinico M, Munafò M, Palomba D (2012). Health risk factors in caregivers of cancer patients: a pilot study. Cancer Nurs, 35, 38-47. Hernandez-Reif M, Field T, Ironson G, Beutler J, Vera Y , Hurley J, Fletcher Ma, Schanberg S, Kuhn C, Fraser M. Natural killer cells and lymphocytes increase in women with breast cancer following massage therapy. Int J Neurosci 2005; 115: 495510. Longworth, J.C.D. : Psychophysiological effects of Slow Stroke Massage in Norrnotensive Females. Advan. in Nurs. Scien., July: 44-61, 1982. E, Soto S, Mendoza R, Castillo R, Zhang G. Impact of a massage therapy clinical trial on immune status in young Dominican children infected with HIV-1. J Altern Complement Med. 2006 Jul-Aug;12(6):511-6. Wang, J.Y., Wu, P.K., Chen, P.C., Yen, C.C., Hung, G.Y., Chen, C.F., Hung, S.C., Tsai, S.F., Liu, C.L., Chen, T.H., Chen, W.M. Manipulation therapy prior to diagnosis induced primary osteosarcoma metastasis–from clinical to basic research. PLoS One, 2014 May 7;9(5):e96571.